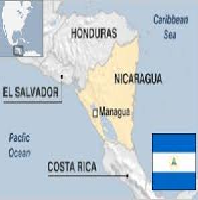 History of Nicaraguan From 19th Century Until Today Examine the history of Nicaragua from the 19th century until today. States play? Discuss the revolution. What if anything changed after the Revolution? The agricultural revolution arrived in what is now Nicaragua about 400 BC. Then in 1502, Christopher Columbus landed on the coast of Nicaragua. However, the Europeans didn’t explore inland until 1522 when Gil Gonzalez de Avila led an expedition to the region. The next year 1523 the Spanish landed in force and they founded Leon and Granada.